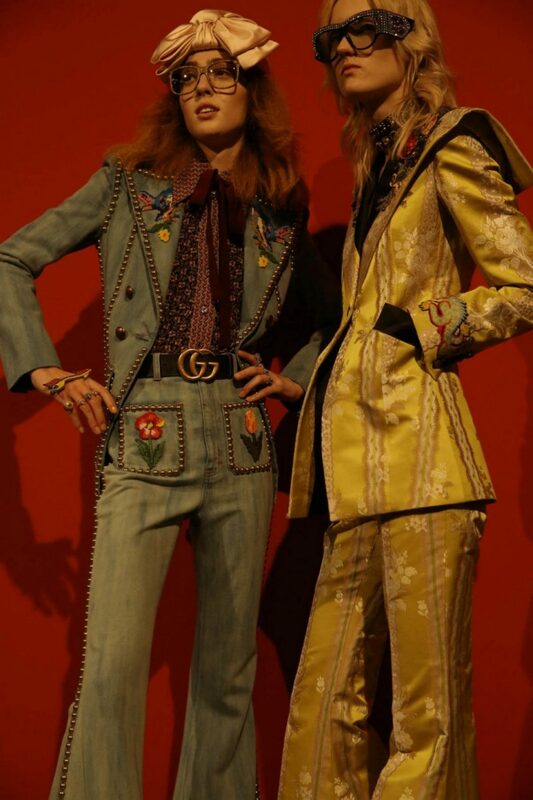 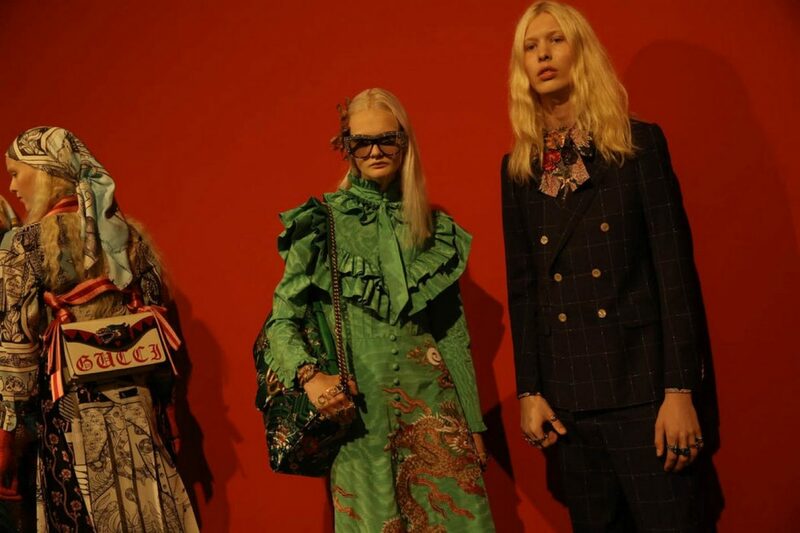 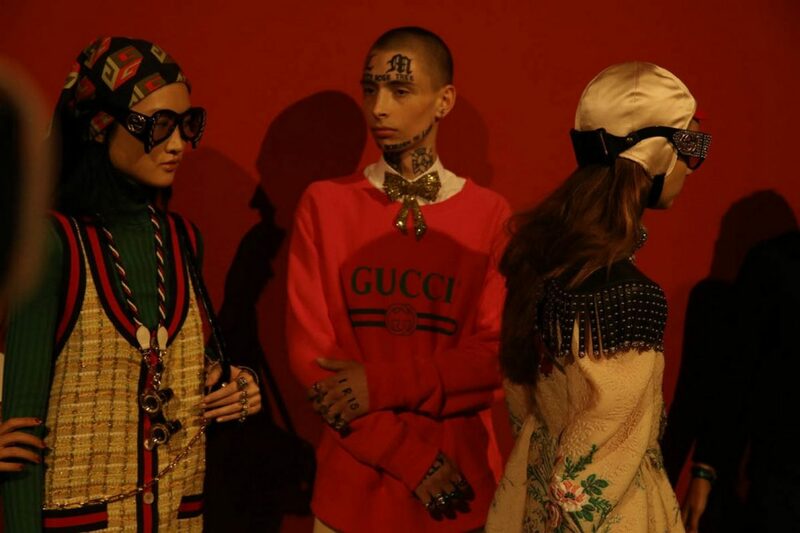 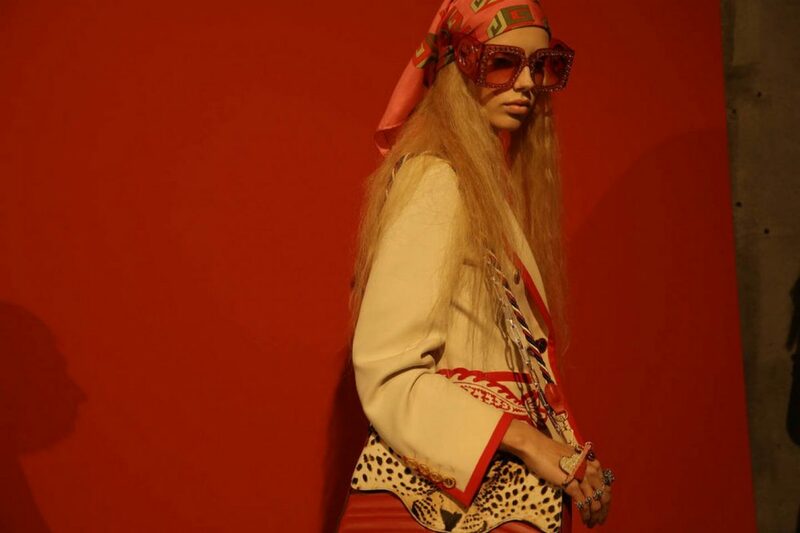 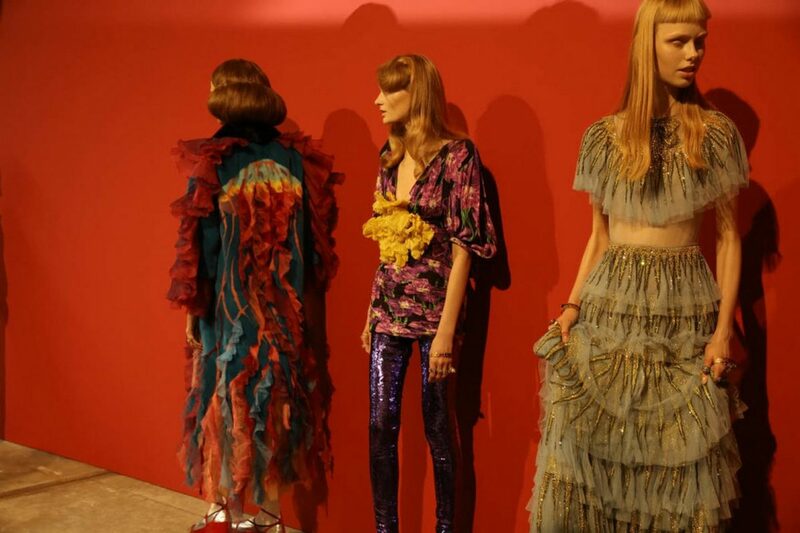 Gucci‘s SS17 Collection seems to take us back in time, packing each look with velvets, precious flower embroideries, rich ornaments and witty valences. 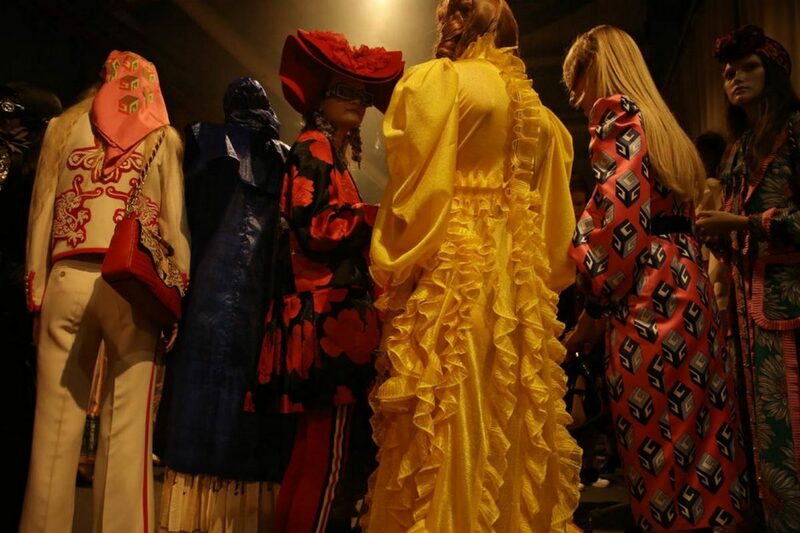 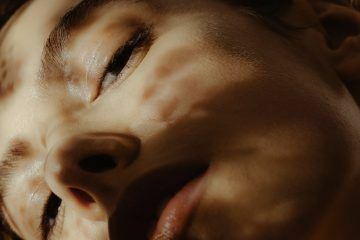 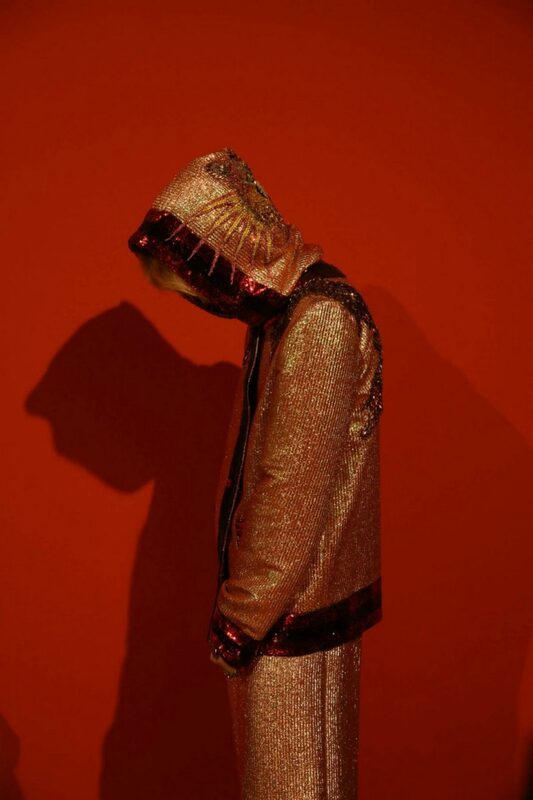 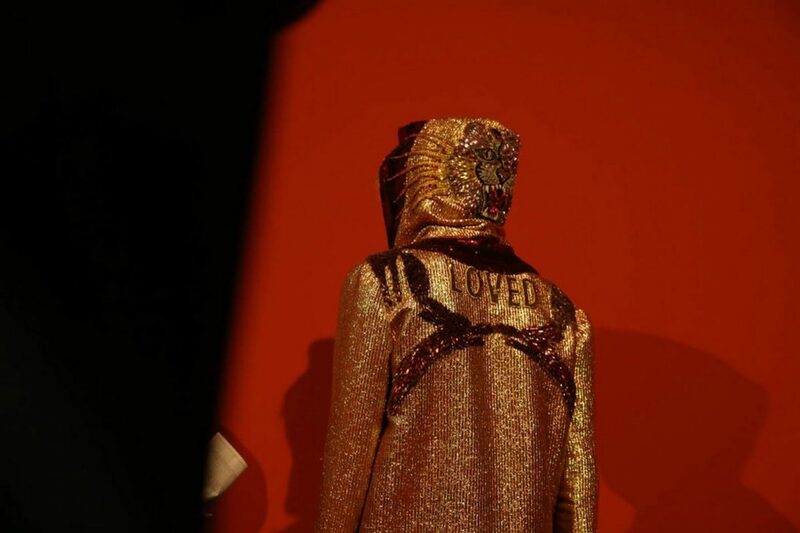 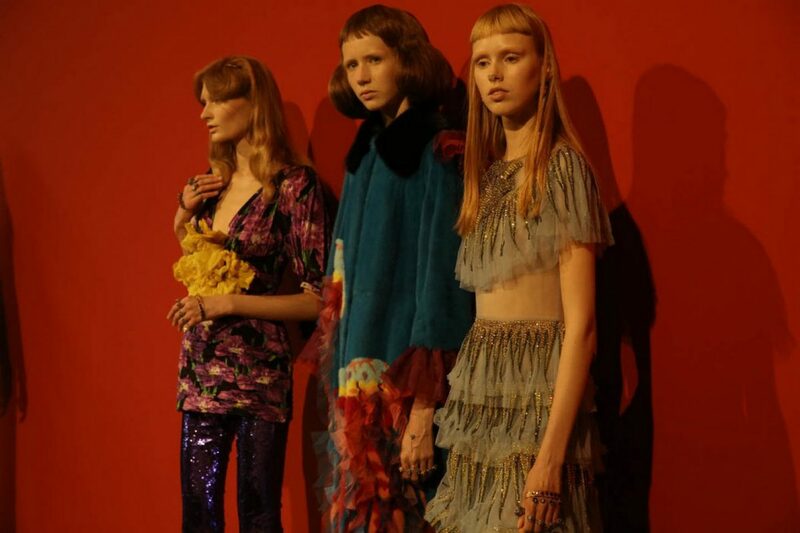 Captured by Donald Gjoka for Coeval, the scenes from backstage look like a crowded disco club from few decades ago. 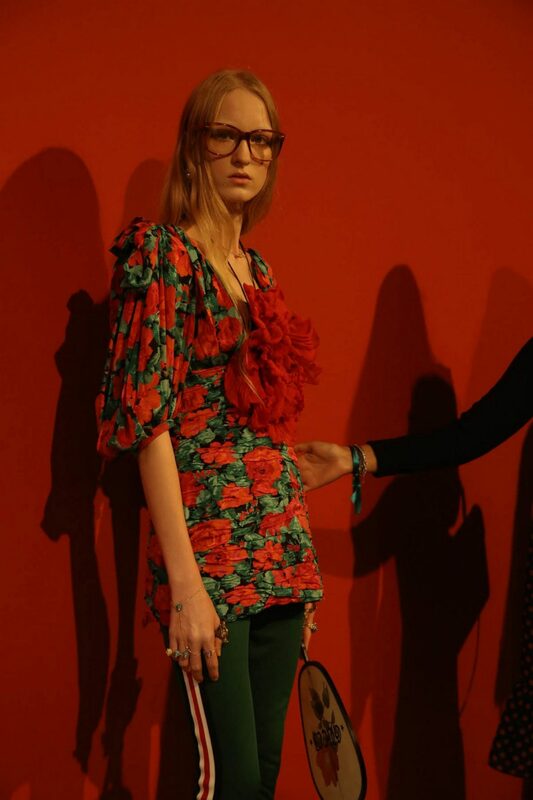 Signature prints, leggings, red leather and loads of shine and color are highlighted throughout the collection. 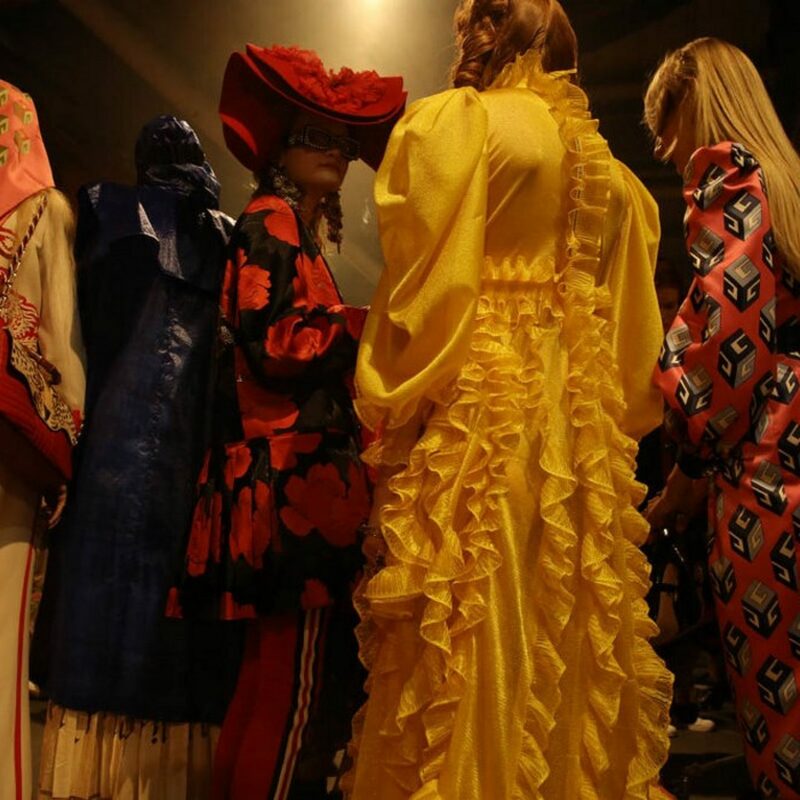 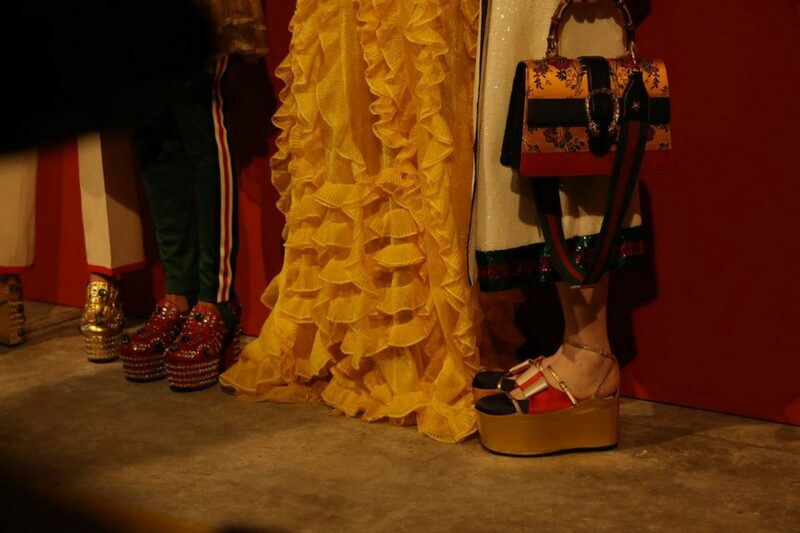 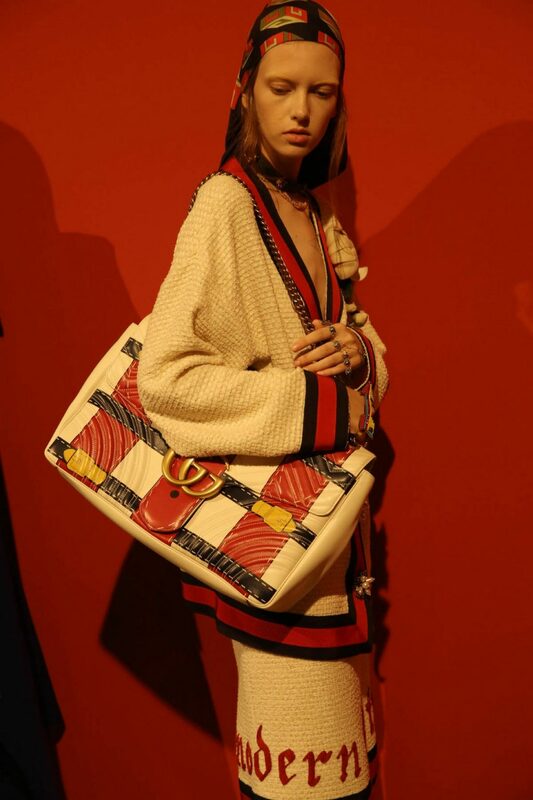 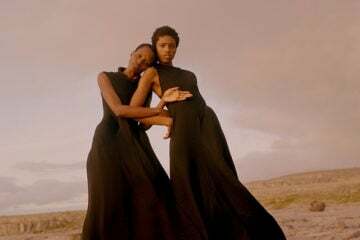 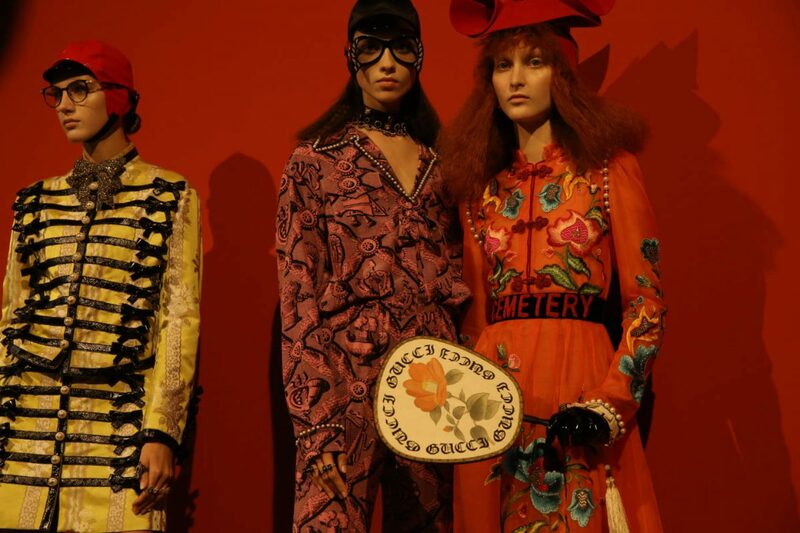 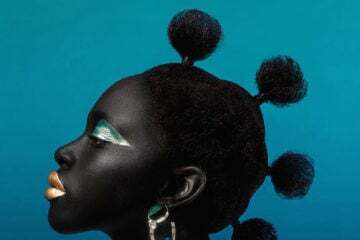 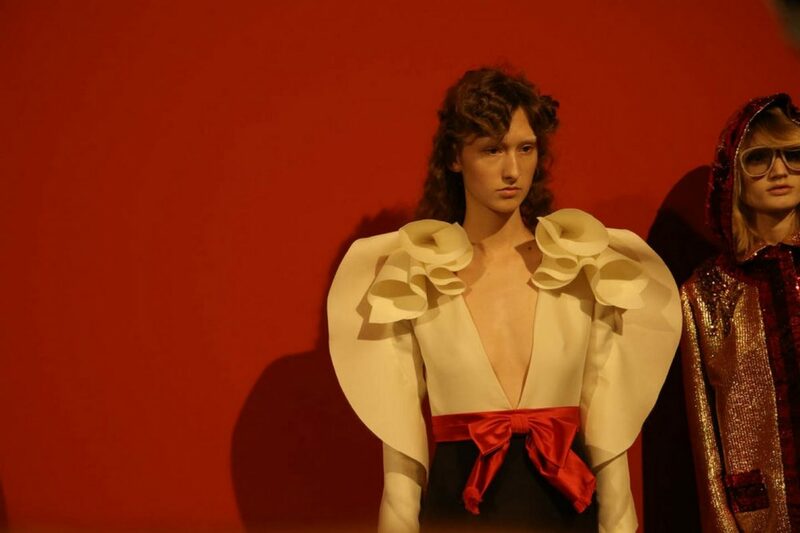 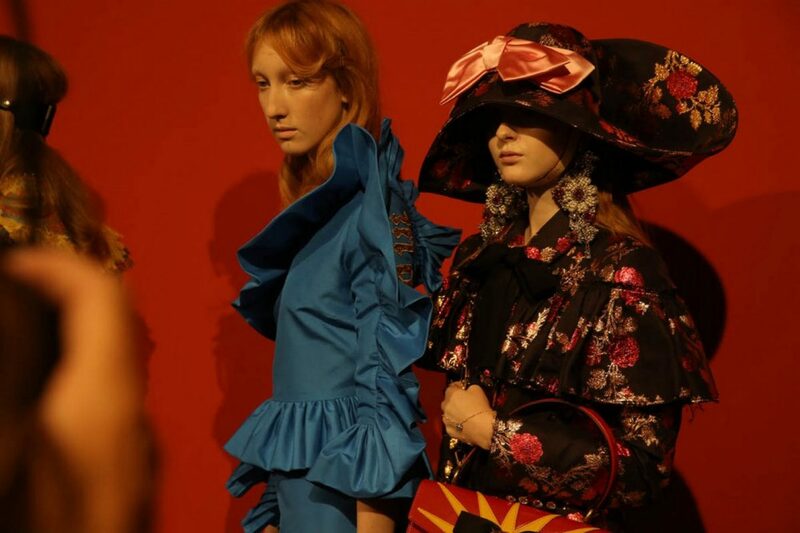 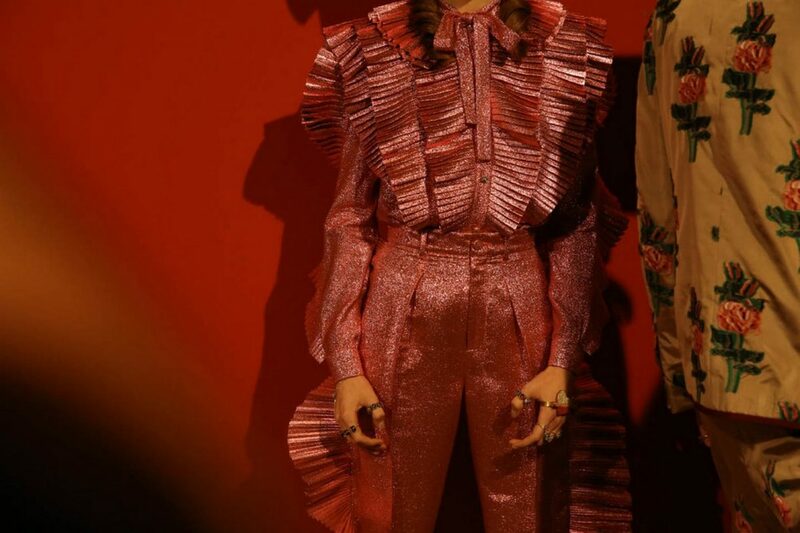 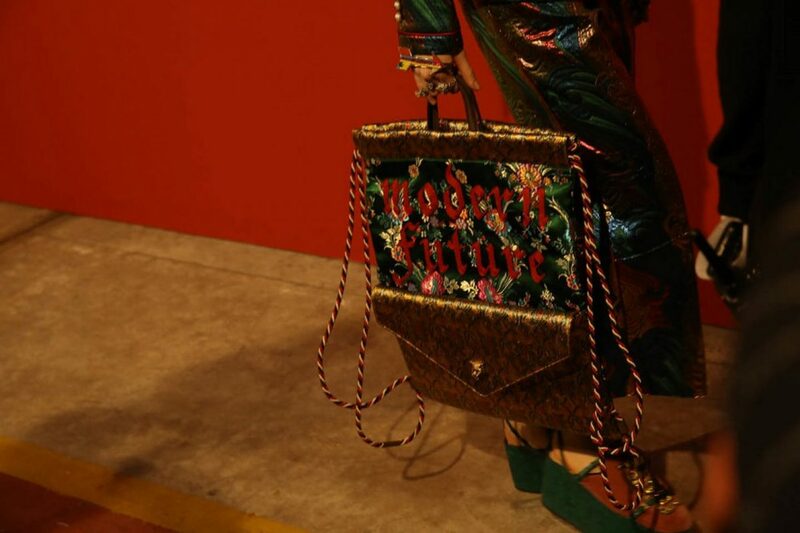 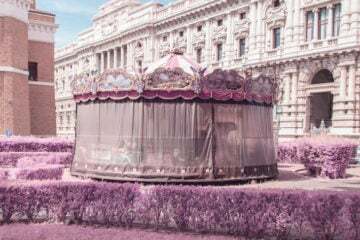 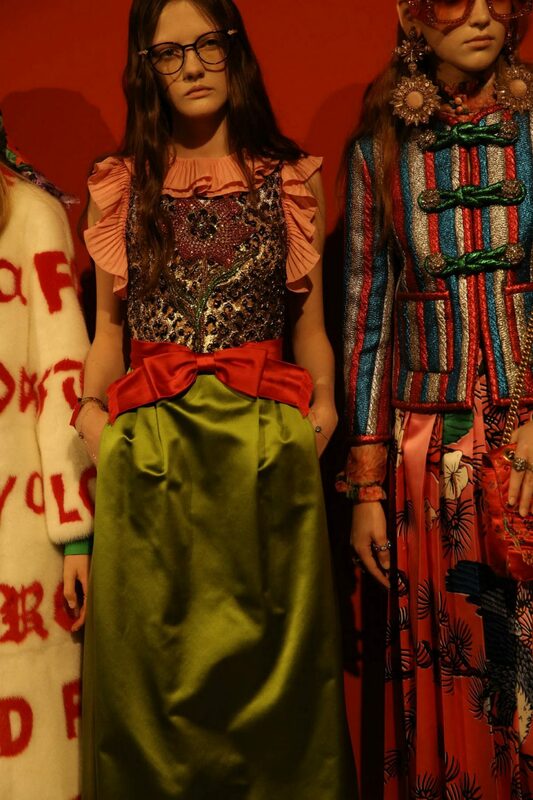 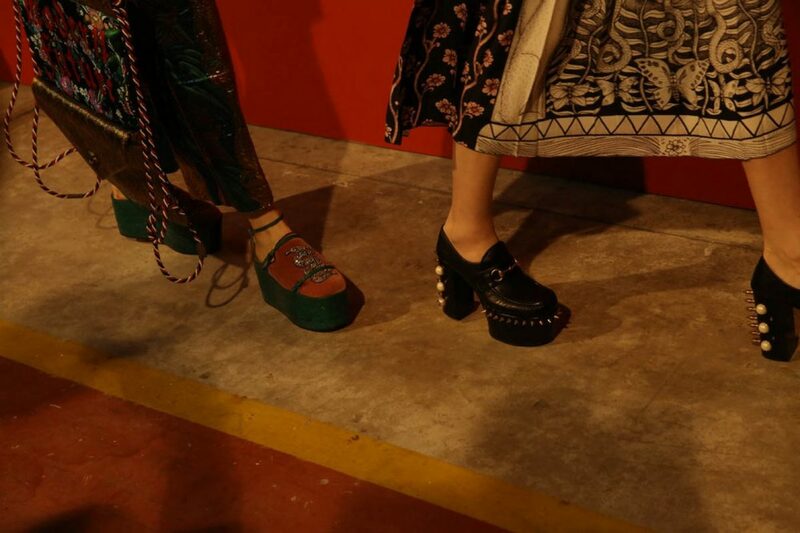 Brand’s creative director Alessandro Michele presented presented not only fantastical collection of gourmets, but also a series of flashy accessories – from huge sunglasses to extravagant hats, there’s no doubt they will become the biggest hits of the upcoming season.